The best friend of man is always there. 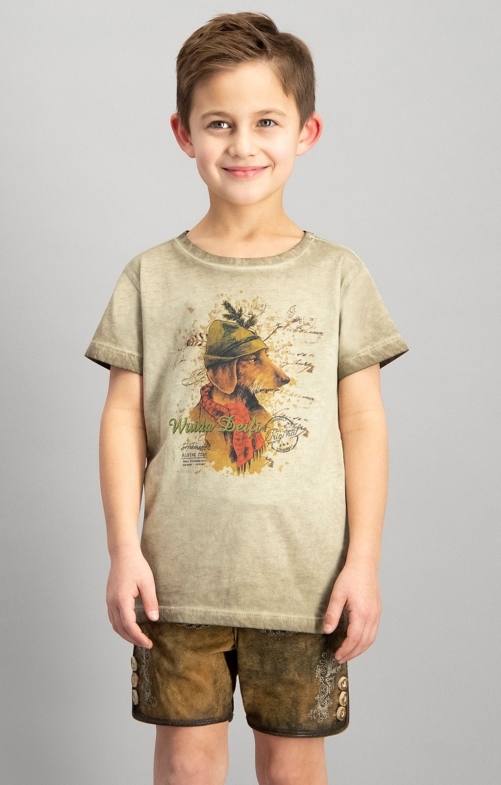 The cute traditional children's T-shirt MONTY Junior in sand has a trendy burnout look and an irresistible print on the front area. The little dachshund with traditional hat and scarf protects the junior in all ways. With the comfortable round neck and short sleeves, the T-shirt is perfect for beautiful summer days.